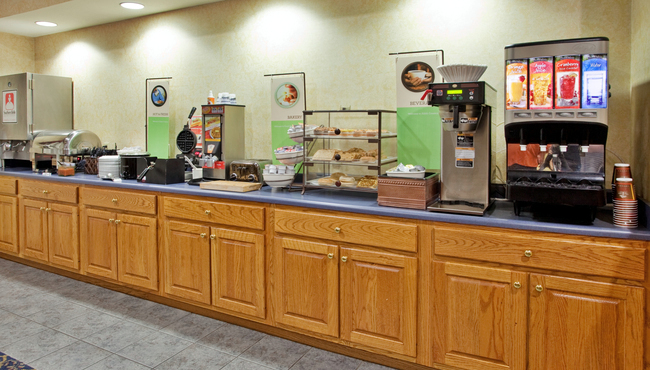 Don't venture out before you fill up on the complimentary, hot breakfast with options that range from Belgian waffles and French toast to bacon and eggs. Feel free to grab something for the road like a piece of fruit and a coffee if you need to scoot out early. Have time to linger? Enjoy the free weekday USA TODAY® newspaper as you sip your morning coffee. For lunch or dinner, try one of the nearby restaurants like Sonny’s BBQ, Cracker Barrel or Casa Grande.